Chrysler/Dodge was the first to bring a mini-van to market, and they are still building them while many competitors have come and gone from the marketplace. 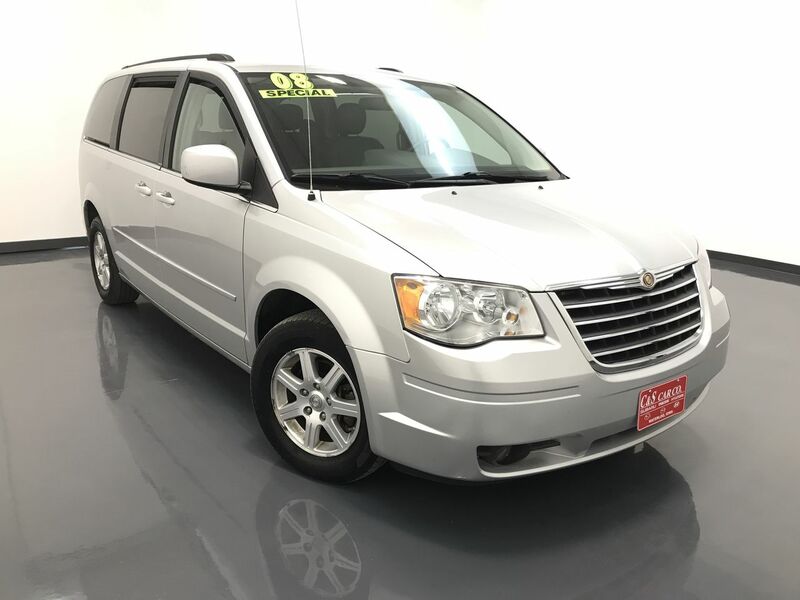 This 2008 TOWN & COUNTRY TOURING has a leather interior with heated and power assisted front seats, keyless entry, power adjustable pedals, tri-zone climate controls, power opening/closing side doors, power rear vent windows, traction control, wood grain interior accents, an AM/FM/CD sound system with Sirius satellite radio, rear window sun shades, a back-up camera, and the rare "Swivel 'n Go" rear passengers' seating with a picnic table. Exterior highlights include 16" alloy wheels with Firestone tires, and a 2" receiver hitch. Call C & S Car toll free at 866-212-8718 or locally at 319-291-7321.